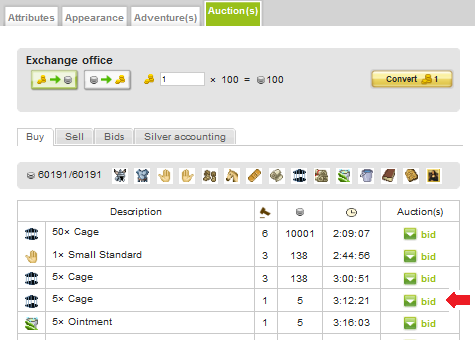 If you were successful and placed the currently highest bid then you are shown as highest bidder. Please note that any successful bid placed in the last 5 minutes of an auction will increase the auction time to 5 minutes again (example: if you bid on an item 5 seconds before the auction would be finished and you would be the highest bidder, then the auction time would go back to 5 minutes and start the counter from there again). Read more about playing bids correctly and how auctions work here.